alamode: The dining chair- Weekend Finds! Just a quick post to show you what I found this weekend. 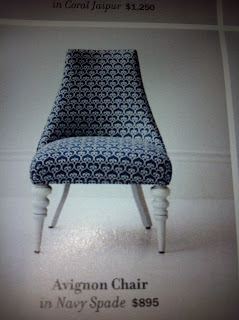 I LOVE an upholstered dining chair. 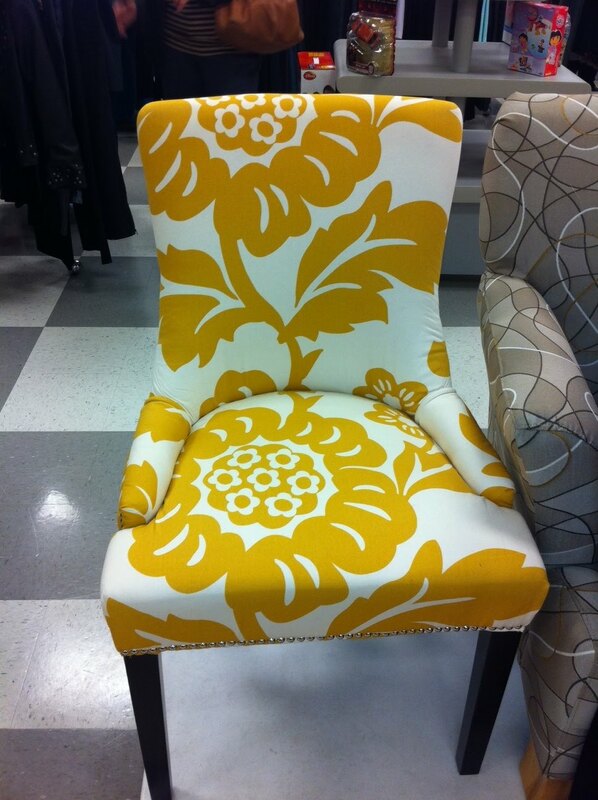 What a great way to give a space some personality and as always, a pop of color in the space. You can buy the cheapest kitchen or dining table, and if you have cute chairs, the table gets swallowed up in the moment of chic! My parents recently relocated to Nashville, TN (YAY!!) and I am going to help my mom and dad decorate their new digs. 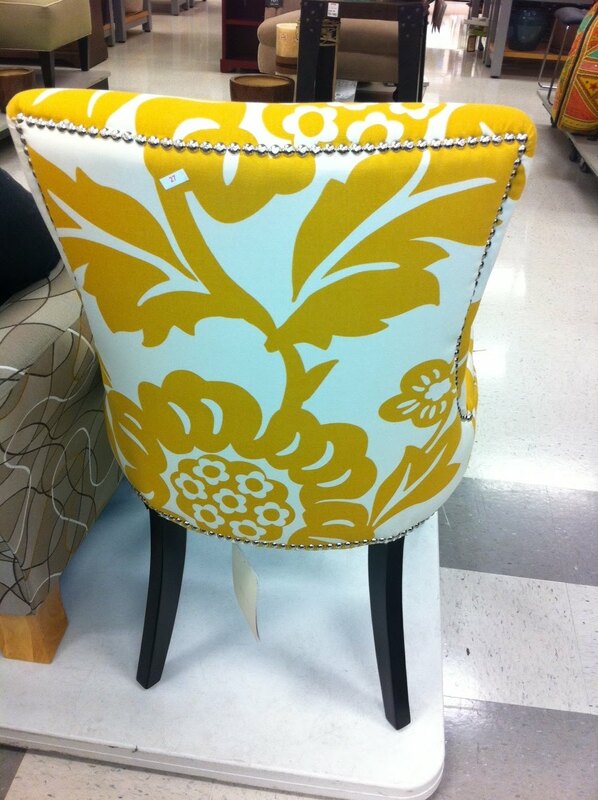 I found these dining chairs (2) at TJMaxx yesterday and I think they are going to look so great in their dining room mixed with a few other chairs. What do you think? Isn't the bright yellow so much fun? I love the shape of the chair and the nailhead trim, not to mention the fabulous print! I saw these fun green ikat dining chairs today at HomeGoods. They would be great to spruce up a space as well! $129.99! For pricing contrast, here is a fun dining chair from Serena and Lily. I love love love S&L but not so much their prices. (I bought Kendall's nursery bedding from there, but I got it on MAJOR sale, I'll post on that later). 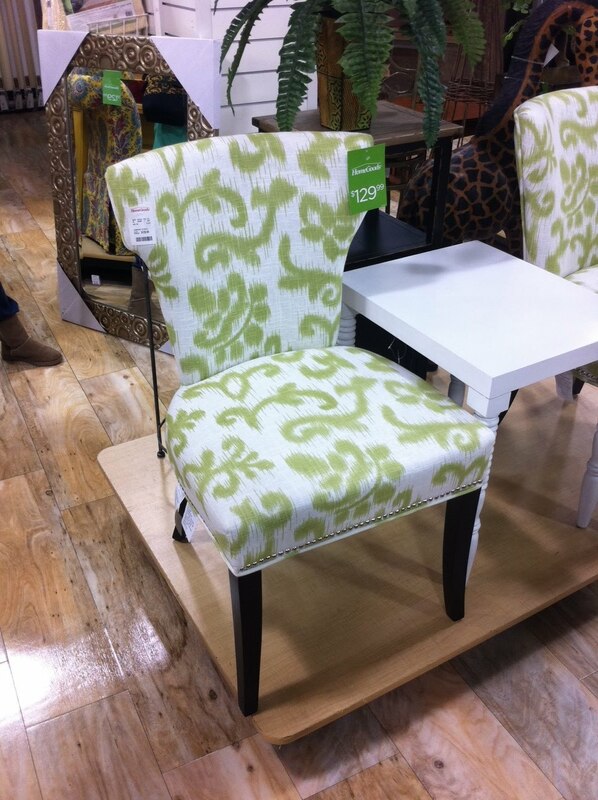 This fun dining chair is $895. Yikes. -Don't forget you can mix up your chairs! It is fun and unexpected! Don't fall into the trap of matchy matchy. Thank you so much for posting the brands! I've been trying to track down that yellow dining chair for weeks now and this is the only place that posted what brand it was! What brand was the yellow chair?